Starting at 4:00pm each evening, there will be live music, kids activities, a beer garden and over 25 delicious food trucks! This event is free to attend, but we encourage a $5 suggested donation to sustain Celebrate Shelton’s efforts in the community. Four Flours Baking Company LLC; Fryborg; Grateful Paws; Greek Style Grill; Lenny and Joe's Fish Tale; Me'stezo Grill; MILKCRAFT; Mini Munch Food Truck; Paradise island; Sugar Bakery; SWAT - Southern Wings And Things; T.H.E. Snickering Coyote; AND MORE! 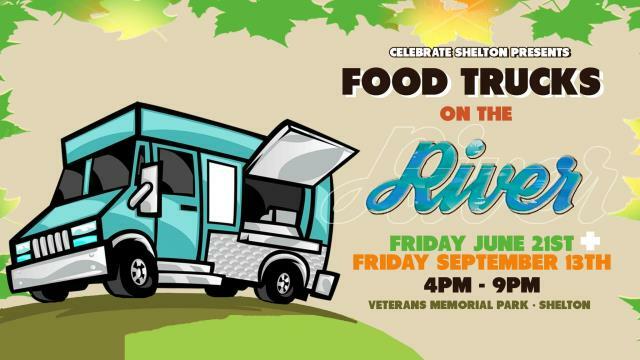 We are proud to partner with Adam's House, which is a non-profit based in downtown Shelton offering grief education and peer support for children and families, for the first Food Truks on the River.